Important information for the users of App Cleaner version 6.0 who updated the program from the previous versions. 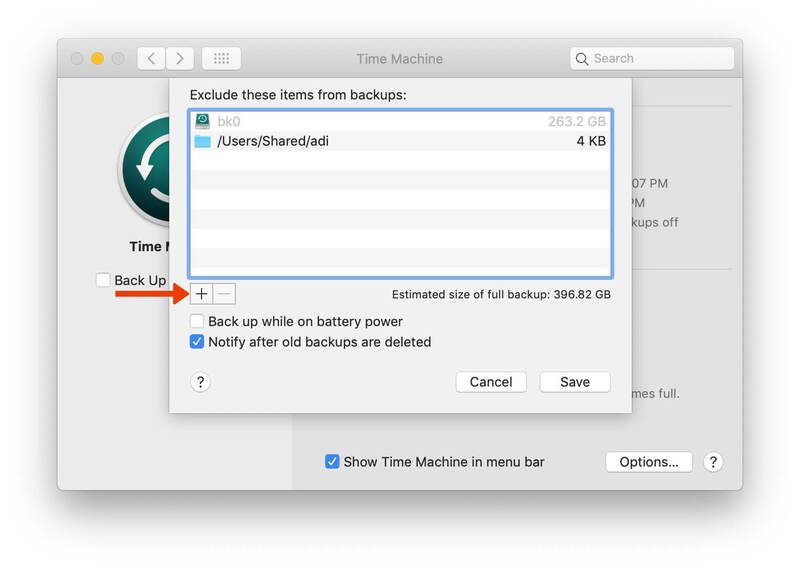 We found an issue that manifests itself in some cases during making a backup using Time Machine. 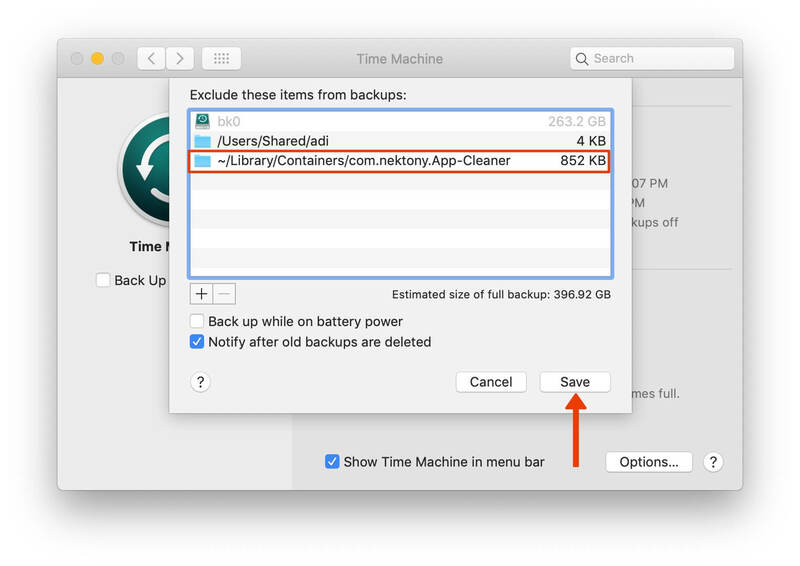 Time Machine might not create backups for App Cleaner service files on the disks formatted without Case Sensitive. 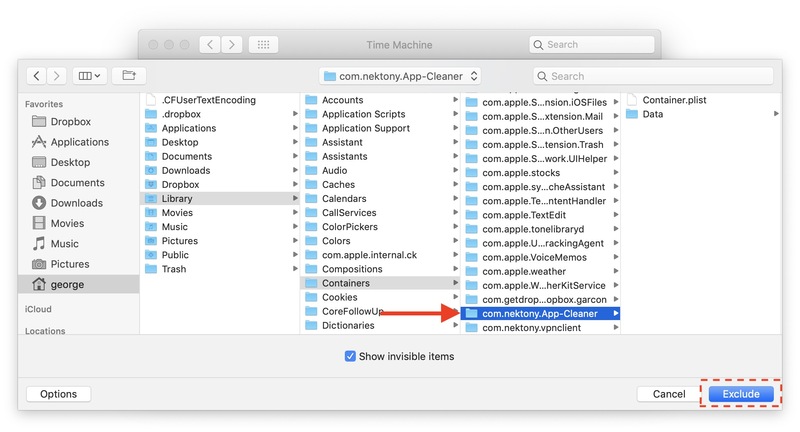 App Cleaner 5.x and App Cleaner 6 create two similar folders, as a result Time Machine can not create backups. 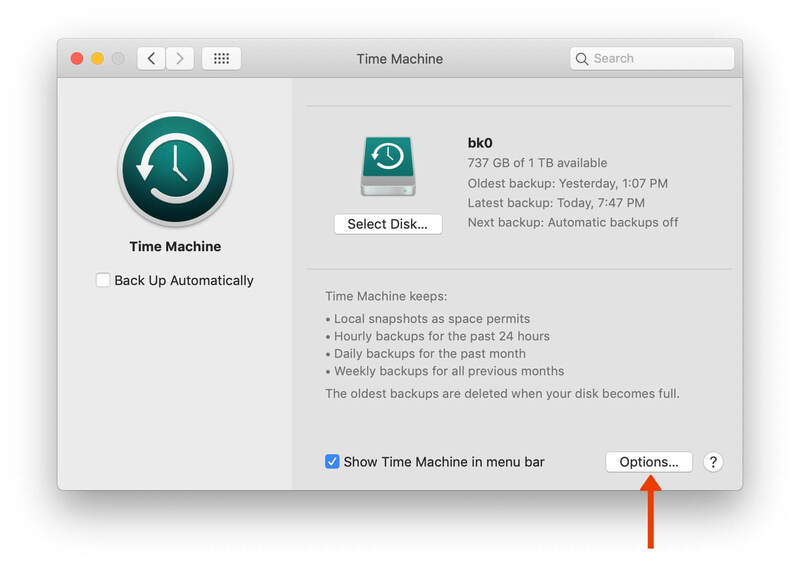 There are three ways to resolve the issue: remove issued folders manually, launch update to remove the folders, add the folders to Time Machine exclude list. Way 1. 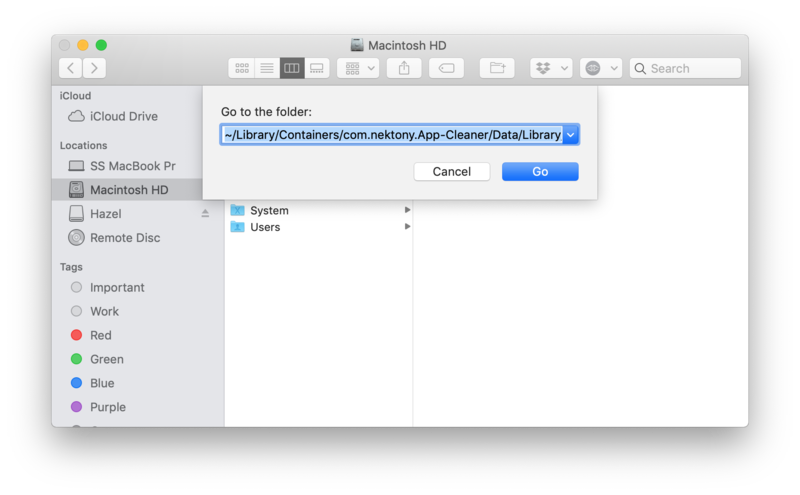 Remove the folder “~/Library/Containers/com.nektony.App-Cleaner” manually. Then you can use App Cleaner 6.0. The issue will gone. Way 2. Download and launch App Cleaner the latest update from our website – https://nektony.com/download/app-cleaner-pro/app-cleaner-pro.dmg. Download and launch this app just once, it will remove conflicting folders. Way 3. 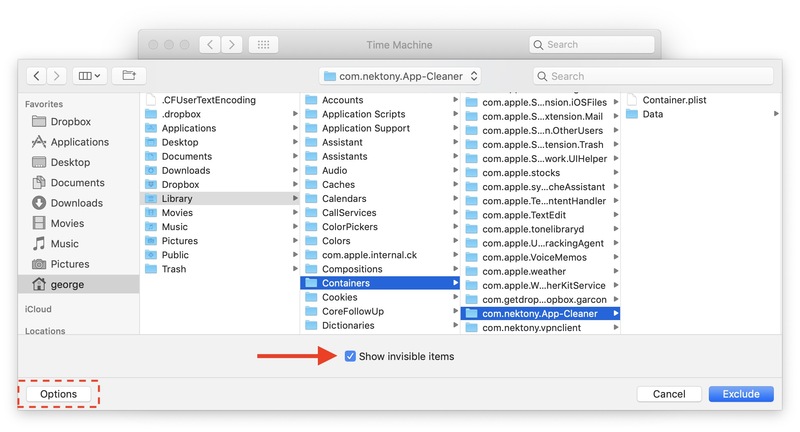 Add the “~/Library/Containers/com.nektony.App-Cleaner” folder to Time Machine exclude list, so the backup software will skip this folder making backup. There is the detailed instruction below how to do that. If you were using App Cleaner & Uninstaller v.5.x and then updated the app to the version 6.0 or you are only going to do that, please, follow this guide in order to prevent possible issue. 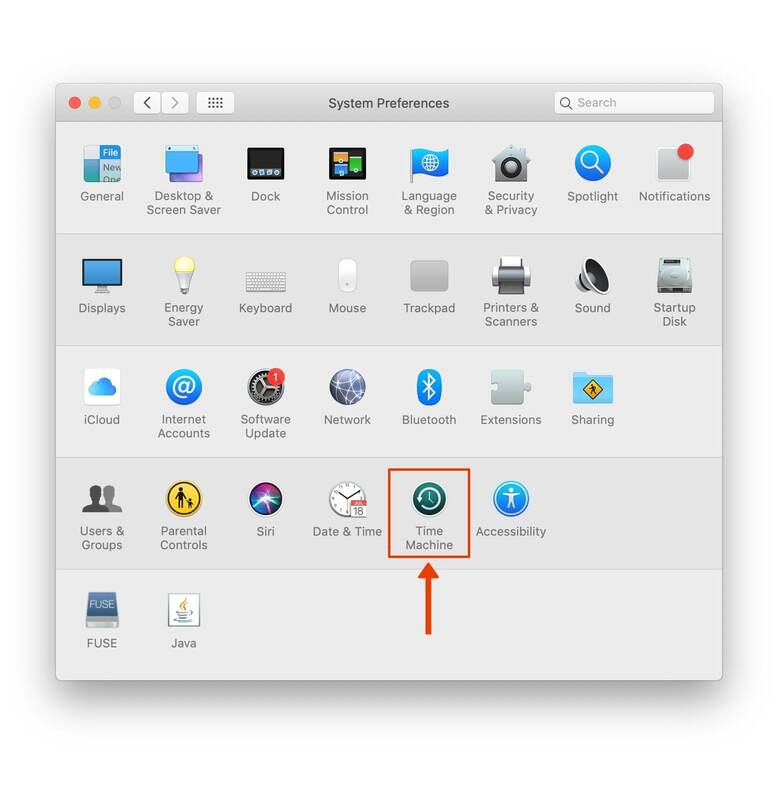 Go to System Preferences → Time Machine. Then click the “Plus” button to exclude items from backups. In the Library, go to the Containers folder and select the com.nektony.App-Cleaner subfolder. Click the Exclude button. When the com.nektony.App-Cleaner folder is added to the skip list, click to save the changes. Watch the video how to exclude the folder from backup. 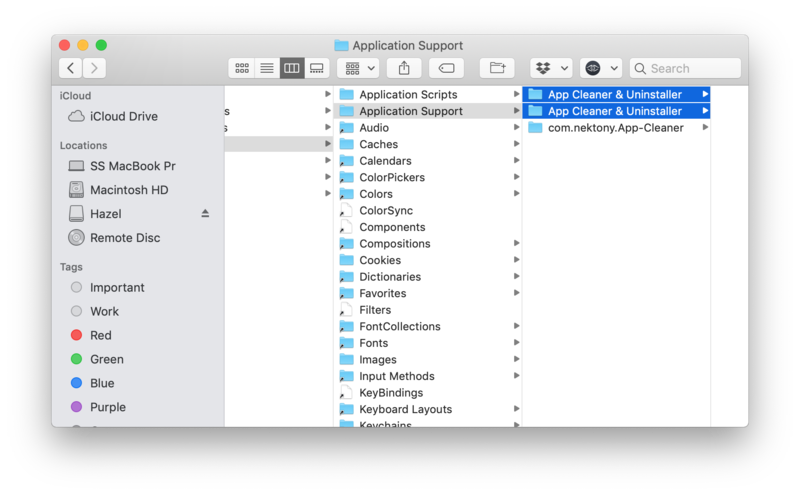 To do that switch to Finder, use the Cmd+Shift+G shortcut, paste the path ~/Library⁩/⁨Containers⁩/⁨com.nektony.App-Cleaner⁩/⁨Data⁩/⁨Library⁩/⁨Application Support⁩ and click Go. Then select and remove both folders with display name “App Cleaner & Uninstaller”. Please note, these steps only apply to those users, who had App Cleaner & Uninstaller version 5.x and updated to the version 6.0. We prepared the application update version 6.2, sent it to App Store for review. As soon as it is approved by Apple update the application, the issue will gone. If you have additional questions, contact our support team. We are here to assist you.